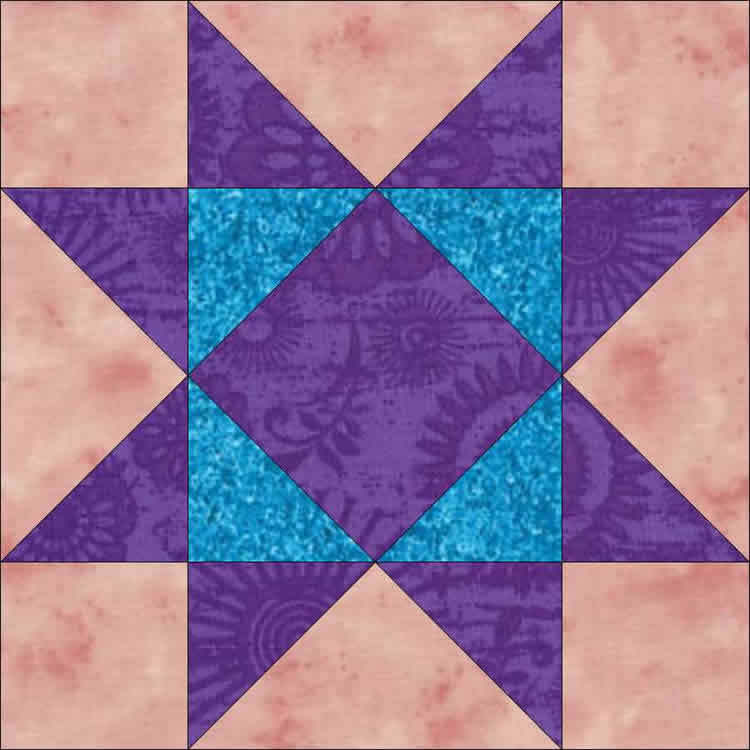 NO TRIANGLE construction makes this design appropriate for beginners and challenging enough for pro's ...It's surprisingly easy to get this block right when it is made In The Hoop! Totally pieced and quilted in the hoop. with a scrappy look and then try it with planned fabric choices. We're certain you will chose to use Star of Hope again and again! Star of Hope QUICK & FUN fun to make. King's Crown is used as the companion block in the quilt above.